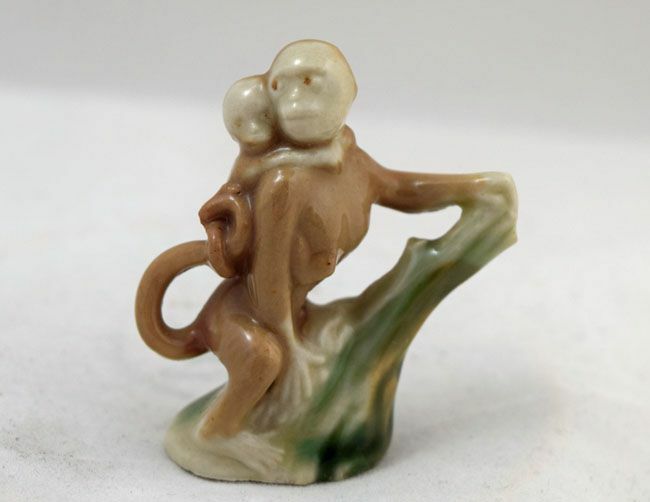 A charming little model of a monkey with a baby on its back, manufactured by Wade. The model is approximately 1.8" tall. It is in excellent condition. Under the base is stamped (WADE MADE IN ENGLAND). These were manufactured in 1955.